A newly rendered building looks great, especially through coloured render. 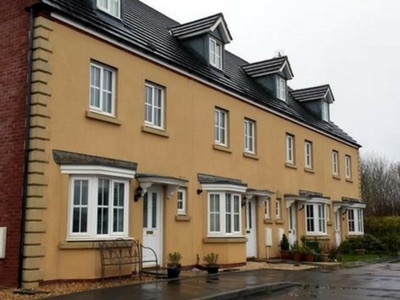 This type of coloured render is often sold as maintenance free. However the reality is within a few years algae often appears on the surface of the render making the new render look old and dirty. Some companies will suggest painting the surface but this is costly and 99% of the time unnecessary. We can remove the algae from the surface usually without the need for costly cherry picker of scaffolding fees. 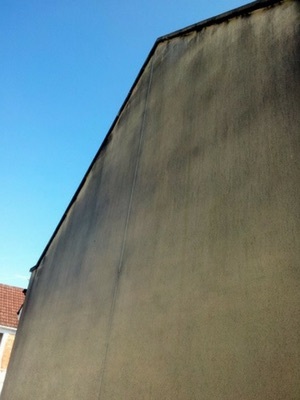 If render is cleaned using high pressurised water damage to the surface is likely. In some cases high pressure cleaning can ruin the surface and mean it needs to be replaced. That is why we only clean render using low pressure cleaning techniques, but using high flow rates on our machines, meaning a low pressure, thorough clean. 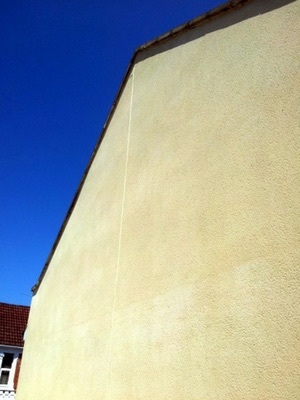 High pressure jetting will not clean render to the same level we achieve by using our specialist chemicals. 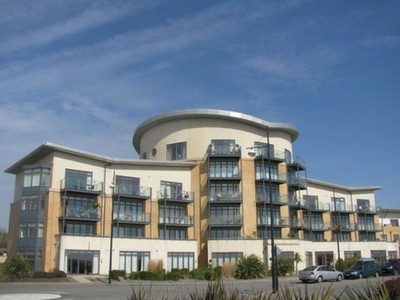 We take on projects ranging from large apartment blocks and hospitals to small domestic properties. We also have references available upon request. We regularly update our FACEBOOK page with images of our latest work. For more examples please take a look. 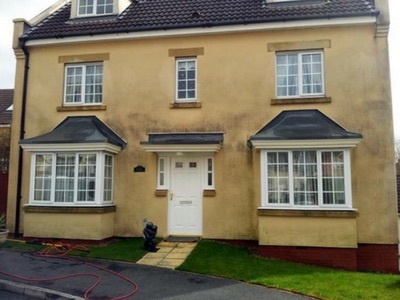 We we asked to clean the render and stone sills of the front the four properties shown below. 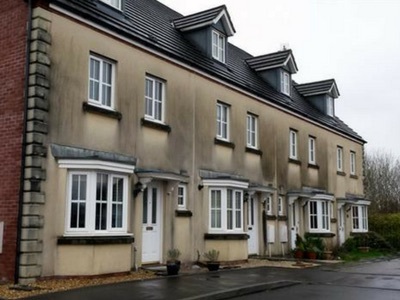 The through coloured render of these houses had never been cleaned and the look of the properties had suffered because of this. In one day we were able to clean all four houses without the use of expensive access equipment or scaffolding, while still carrying out the work safely. 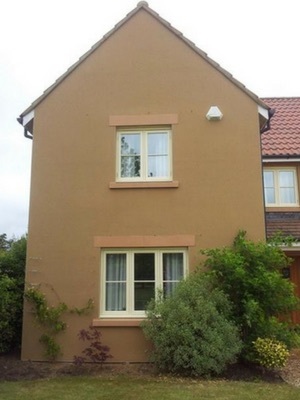 We cleaned the render and bathstone of the house shown below. Due to the results of the clean we were then asked to clean another property in the street. We cleaned the patios for one of our customers and she was very happy with the results. 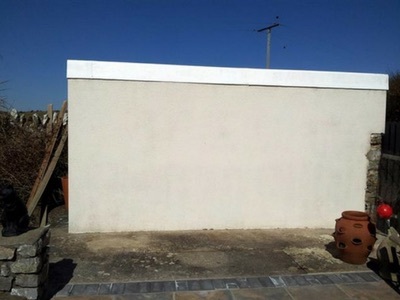 While there we offered to carry out a test clean on the render free of charge(on a small section of the house in an inconspicuous area). 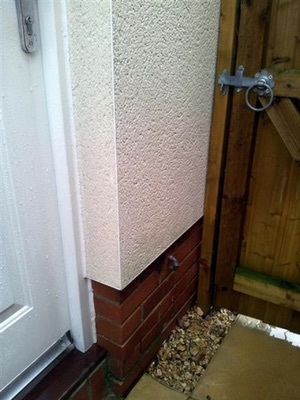 The customer could not believe how we achieved such a great result using only low pressure. We will now be cleaning the whole house in the coming months. 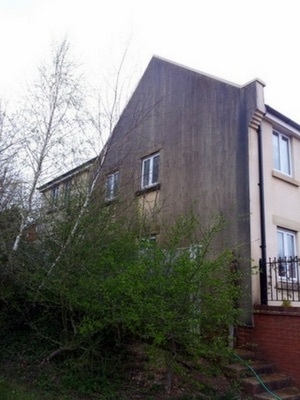 We were asked to clean the property shown below as the owner saw another property we cleaned in the street. They were amazed by the results. 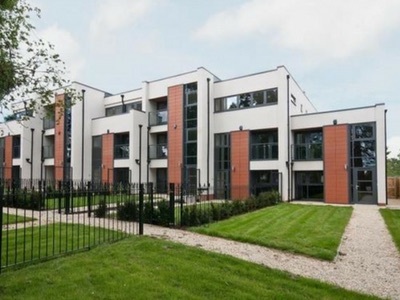 The photos shown below are of a larger project we carried out for a management company. The project included the cleaning of algae from around 25 apartments. 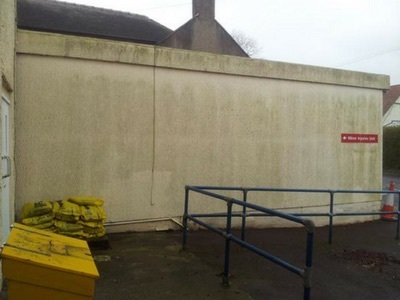 The wall shown below had taken the brunt of the weather for several years and had changed the appearance of the building to make it look dark and dirty. We were able to clean up the area using our soft-wash, low pressure cleaning techniques. 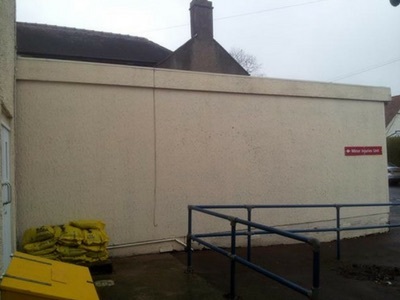 We were asked to clean the render at Lydney Hospital. We treated the surface in our cleaning solutions and rinsed the areas with a low pressure spray. The results speak for themselves. Several people commented on the difference we had made as they passed by. 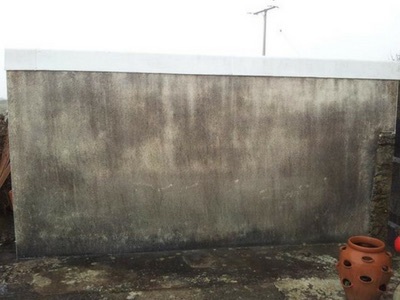 We cleaned the below section of wall as a test clean for a a potential customer. 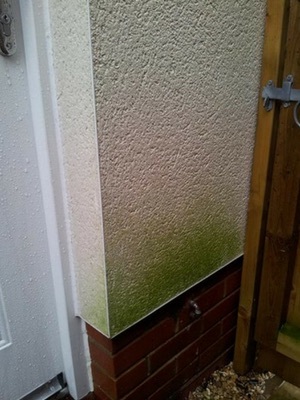 We achieved the following result within just 20 minutes, using just low pressure water and our specialist chemicals. After seeing the results, the customer booked us in to clean the rest of the house. Once we cleaned the rest of the house we were asked to come back and clean their second house and all patios for both properties. They were over the moon with the results! After our customer saw our test area we were asked to clean the rest of the house. Once this was completed we were asked to clean their second house and patios for the two properties. 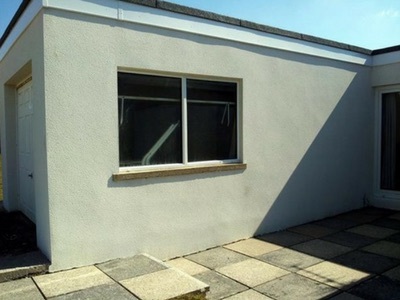 The render and patio shown was heavy soiled with dirt and had one of the worst cases of algae growth we had seen, but we were able to clean the walls thoroughly meaning there was no need to paint the house. Our customers could not believe the look look of their patio. The whole house looks clean and bright! 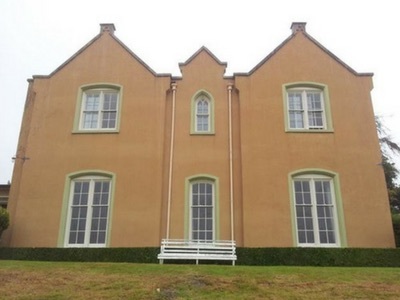 We cleaned the render at the house shown on the right ahead of being painted to remove all algae and kill the spores. We applied a fungicide to the walls to keep the algae at bay for as long as possible. Our customer was thrilled with the results. In fact, the she was so happy with the results we believe she decided not to get the house painted. 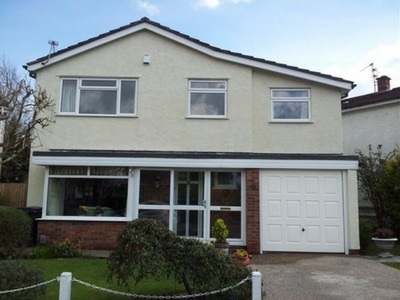 We also cleaned and treated the fascias, gutters, patios, conservatory and wooden fencing at this house. 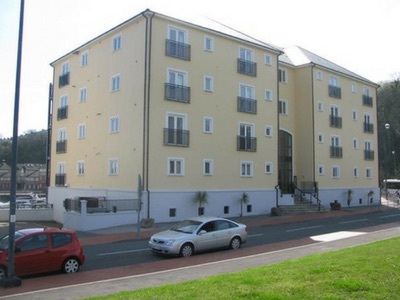 We were asked to clean the render of the Meridian Apartments as part of a redecoration project. We also cleaned the gutters, facsias, window frames, windows and some floor areas. We reached the high level areas with a cherry picker, but the back of the building was scaffolded as it sits on the marina. 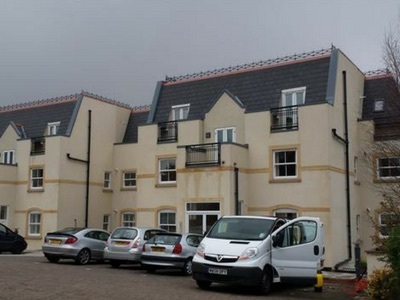 We cleaned the sto render, woodwork, windows, frames and all metalwork on the Monico Apartments as part of a redecoration project. The building was accessed by cherry picker. 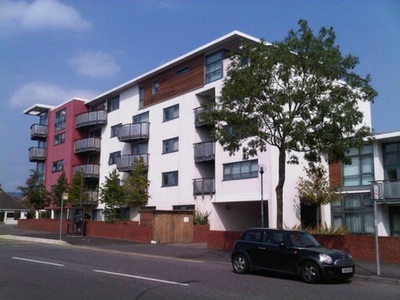 We were asked to clean the through coloured render of Lacuna Apartments. The high level areas were accessed with a cherry picker. We also cleaned the windows, frames, metalwork and patios areas at the front of the property. 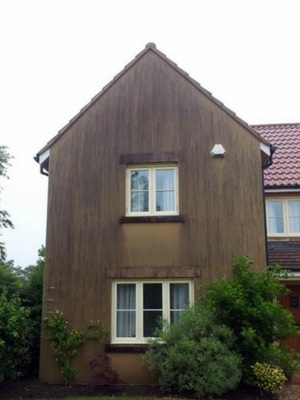 We carried out a softwash clean on the coloured render on The Chestnuts as well as a full window clean afterwards. 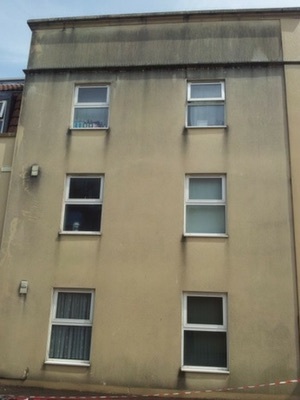 The building suffers from rain water running from the roof areas down the walls leaving streaky marks. We chemically cleaned the areas to make sure the algae that had grown had been killed and we removed all stains. 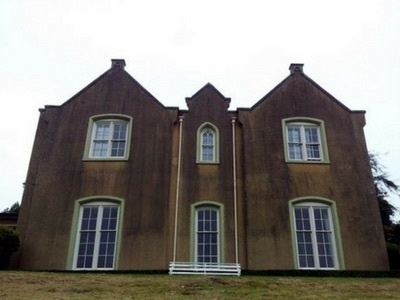 The condition of the through coloured render on Bron-y-Glyn was one of the worst we have come across. 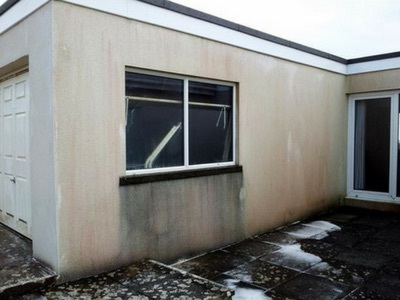 The algae build up on the walls made the building look dirty and tired. We were on site for one week and managed to remove the stains in completely. 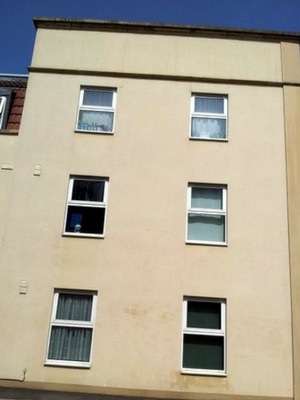 We also cleaned the windows and frames after the initial clean took place. 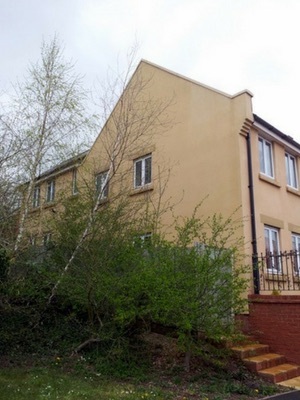 The monocouche render on the building shown on the left was in need of a clean up due to the algae growing of the surfaces. 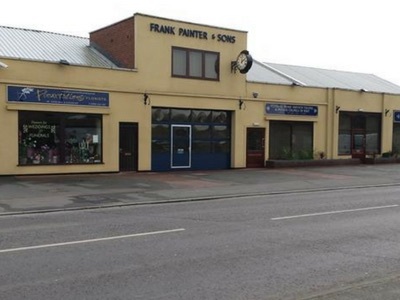 The black and green algae made the shop front look dirty. 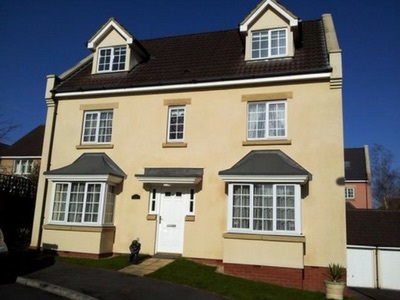 However once we had carried out the cleaning for Mr Painter the render looked as good as the day it was installed.